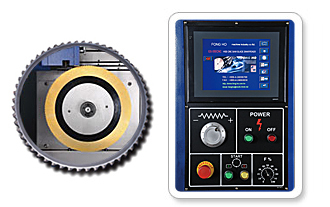 The machine integrates machanical construction, program control and touch-sensing screen for perfect setting for various teeth shapes, teeth number, tooth depth, back clearance angle, relief angle, and teeth chamfering. 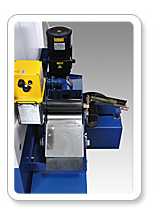 Easy to operate by simply entering sharpening date, then the machine will perform automatic sharpening operations. 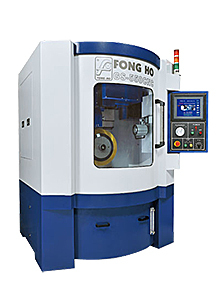 The machine features high accuracy, high sharpening speed, consistent sharpening quality, superior performance and satisfied blade quality.